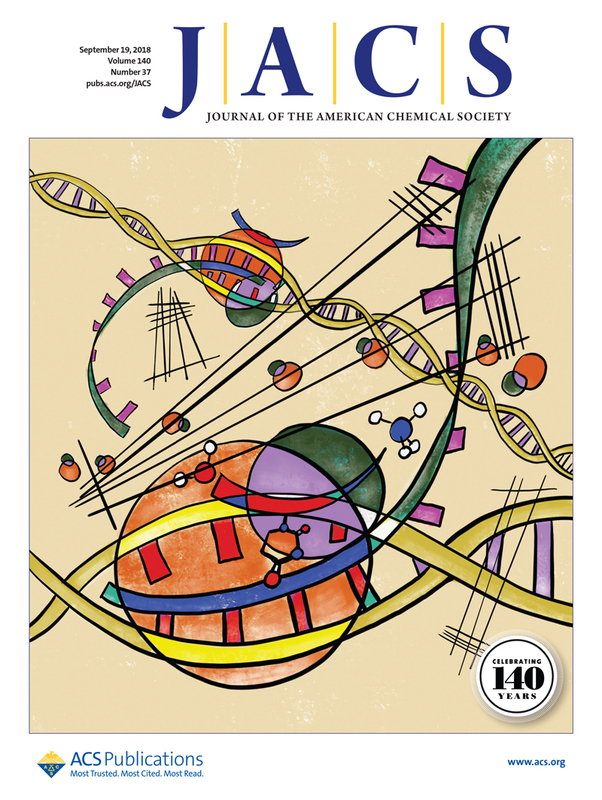 My Bauhaus-inspired cover came out in JACS last week. It’s about a protein chimera composed of a mutagenesis agent hitching a ride on an RNA polymerase to make mutations in specific genes. It reminded me of teenagers hanging out of the windows of moving cars, hitting mailboxes with baseball bats. (This metaphor probably dates me) In this case, the Shoulders Lab at MIT was clever enough to assign the teenagers (the mutagen) to a specific street. This image was made entirely on my iPad, which was a refreshing departure. Special thanks to George Howell Coffee in Newton, whose counter was the perfect height for drawing. This cover design actually came up back in August when I was being interviewed by Carmen Drahl of Chemical and Engineering News at the ACS Boston meeting (seen here). Obviously I didn’t say anything about the paper that hadn’t come out yet. She asked what my illustrations looked like, and I was explaining that the styles of my projects can vary dramatically. Even within this project, the other design we submitted for consideration for the cover was something much more typical of previous JACS covers (seen below). I was pretty surprised that they chose the wild card.